Learning Chinese is a major task for students. Every day they have three hours of Chinese classes (in three different levels) in the morning, followed by one hour class in Chinese culture, 30 minutes tutoring session and 30 minutes practice session with student “buddies” in the afternoon. It is an intensive schedule for the students but they manage to find little triumphs in their daily lives. For NSLIY students, a typical day usually starts with a 40-minute rotating group based consultation session with program faculty and staffs after breakfast. 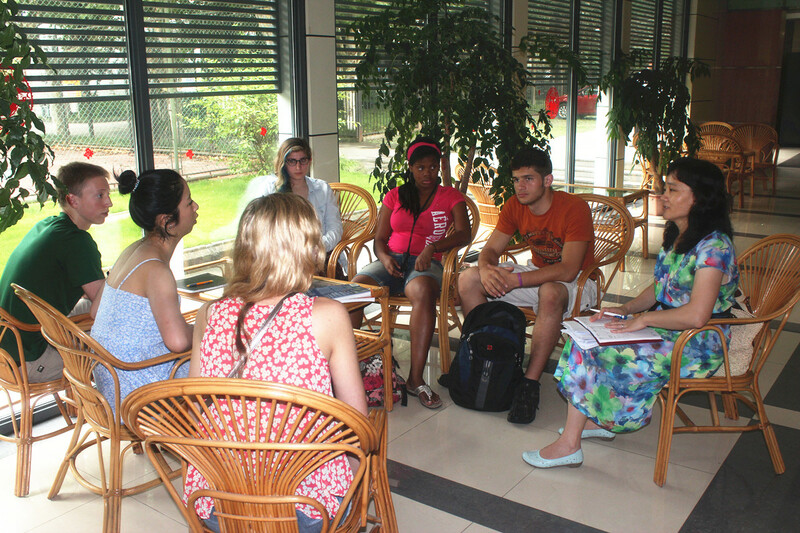 Each group gets the chance to talk about their lives in Shanghai once every week. They call it “E-Portfolio”. Students can feel free to exchange observations, ideas, concerns and suggestions for their classes, daily lives and activities with faculties. Topics range from class progress to food options. Basically they can talk about anything. 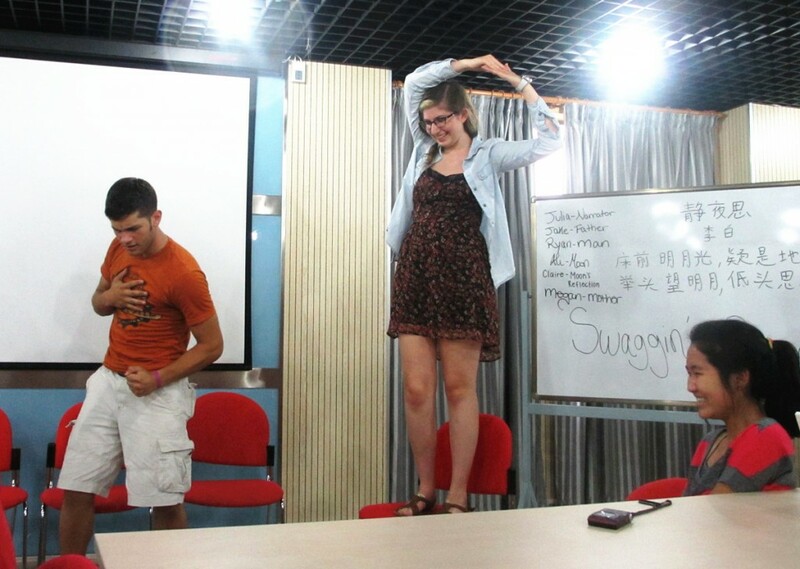 The session is designed to help students cope with culture shock and learn to quickly and easily adjust themselves to lives in China. In today’s classes, students learned a poem written by renowned poet Li Bai from Tang Dynasty: “Thoughts in a Tranquil Night” (Jing Ye Si). They were very creative during the improvisation performances to showcase how they understood the poem. It was a fun and good practice to learn and appreciate Chinese literature. During lunch time, the chefs surprised students with burgers, fried chickens and French fries. It is no doubt that Chinese food tastes really good. It is just not as good as something that they are grown up with after one week of oriental food. 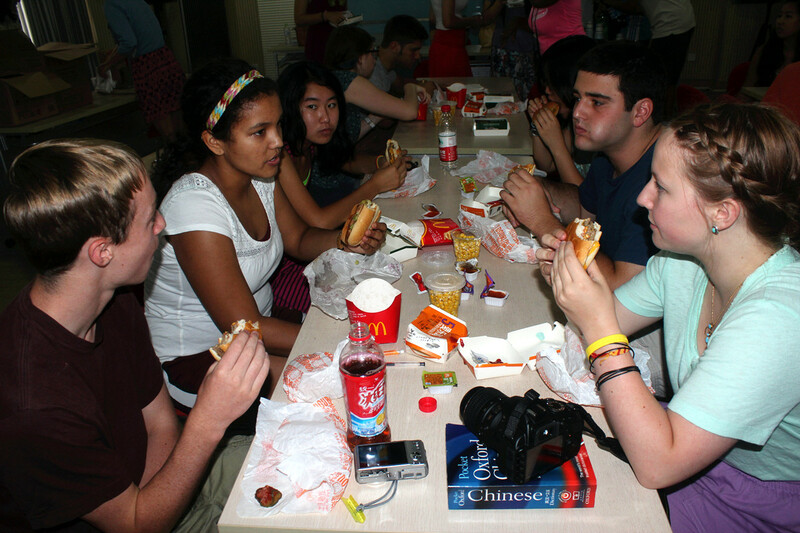 Students missed American food dearly. They learned Chinese songs. The lyrics in Chinese singer Zhou Huajian’s song “Friends” is simply beautiful and heart-touching: “(friend is )one word and a lifetime.” Even though they came from different parts of the States, the six weeks living in a different county together will just make them friends for a lifetime. They also learned to sing “Tian Mi Mi” (meaning “sweet”) by singer Deng Lijun, a romantic and sweet song. There are so many things they can do after classes, including playing basketball, ping pong, swimming, practicing Kung Fu, jogging or going shopping on campus. 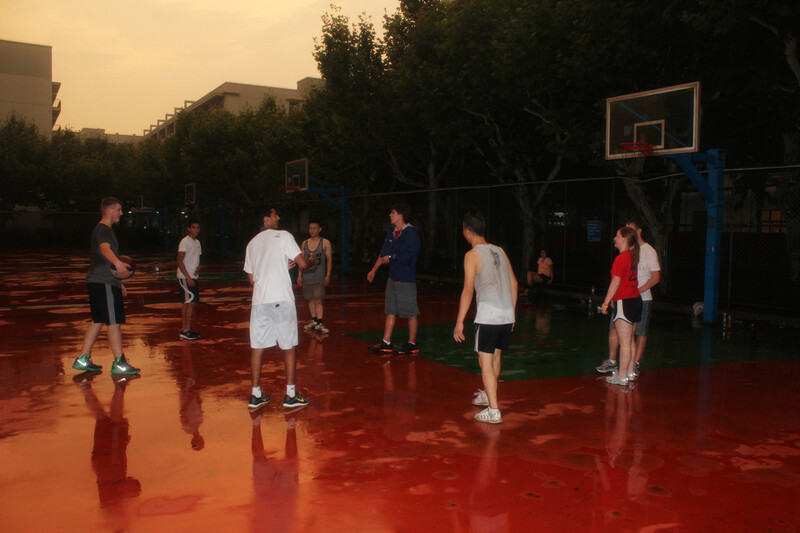 ECNU has provided very good sport facilities and beautiful campus environment for the students. All those little things will add up to a remarkable and memorable part in their lives.